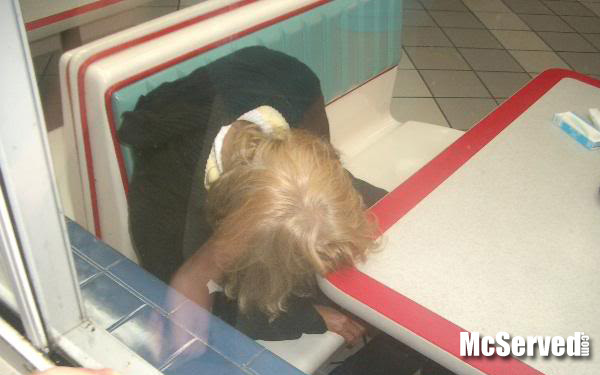 The Homeless Lady passed out at the Burger King.. 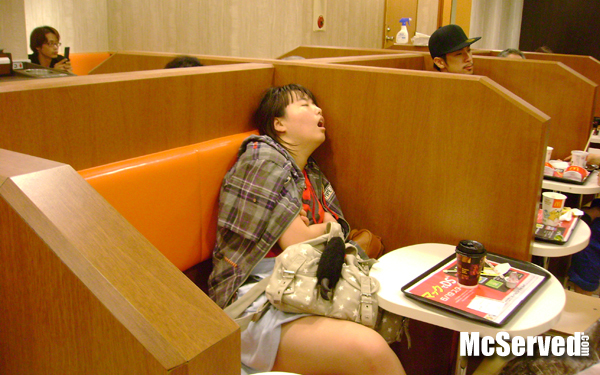 Even the dollar menu was too much for her. Pictures, Sleepers tags: drunk, passed out. 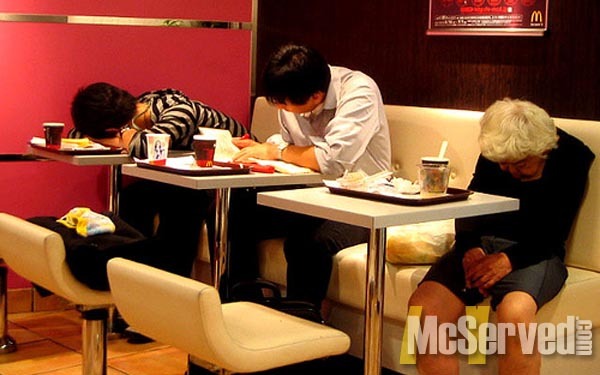 5am at a local McDonalds in Japan. So much for the dive bar for this party girl. 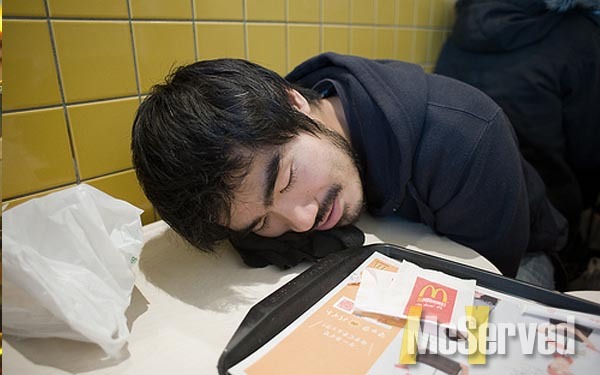 Pictures, Sleepers tags: Japan, party, passed out. Pictures, Sleepers tags: health, Japan. Pictures, Sleepers tags: Japan, ninja, tokyo. 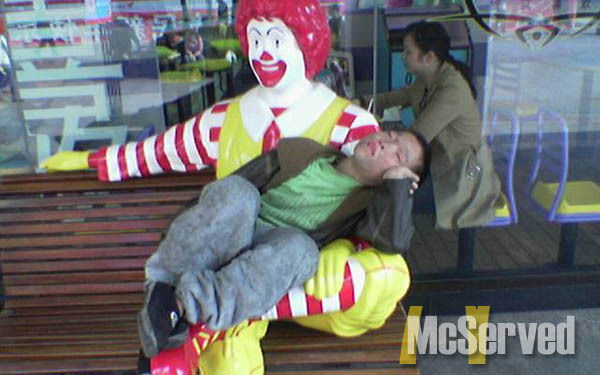 Pictures, Sleepers tags: asia, comfort, sleep.